When it comes to martial arts, the arguments over which is best never seems to stop. Many people consider their art almost a religion. And like religions, loyalty to beliefs in martial arts can get out of control. Similar to those who are secure in their spiritual beliefs, people who are secure in their martial beliefs should be able to consider others thoughts, ideas, and perceptions without necessarily accepting them as their own. You may learn something. They involve cultural aspects such as ethnicity, national origin, and even world views. They train the student to defend themselves against other human beings, with and without weapons. Originally, they were all open-handed. 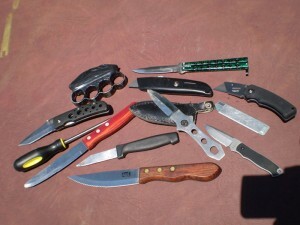 Later, some adopted impact weapons, edged weapons, and firearms. What do all people have in common? We are bipedal and walk upright. We have opposing thumbs allowing us to grip tools. We have two arms that are only capable of three things: pushing, pulling, and swinging. What is in the hand can increase the range of an arm’s use. When we are startled by a loud noise, even as a newborn, our extremities contract. This is known as the Moro Reflex, and is the only innate fear. We are born with the fight or flight response. What does interpersonal open-hand and contact distance weapons have in common? The attacker must be able to touch you with the weapon to hurt you. 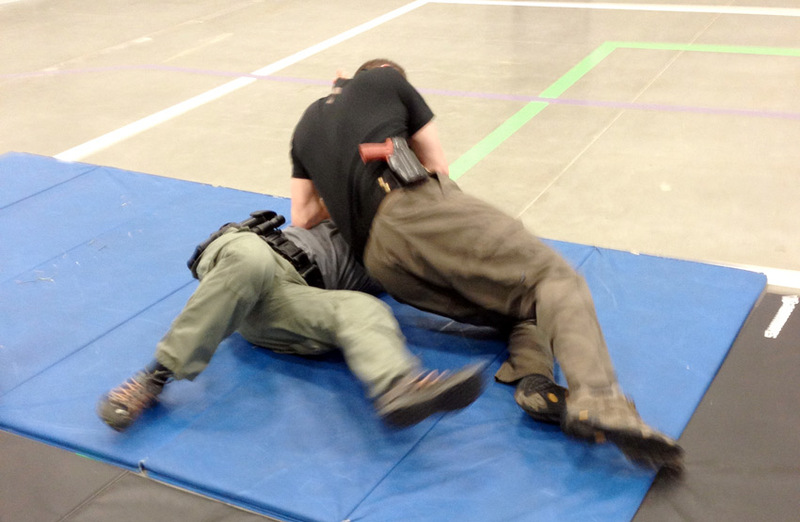 To defend, you must be in contact with the attacker, inside the range of the weapon. Most combat of this type begins with some sort of verbalization. Some say that most fights go to the ground, but many more start on your feet. During interpersonal combat, trauma is caused to the human body in two basic ways: cutting and crushing. Even a bullet is nothing more than a hybrid that both penetrates and crushes the body. The most common trauma is crushing by way of personal weapons like fists, feet, elbows, knees, head, shoulders, and body. Crushing injuries are inflicted by movement into contact, such as a strike, or by squeezing, such as a choke. Besides the teeth, a human needs handheld tools to puncture, rip, or cut human flesh. In closing, remember that you are training to fight humans who may or may not have handheld tools and firearms. Does the martial art that you are practicing provide you with the skills for dealing with these attacks, under various conditions? If not, you may want to consider supplementing your training to fill in what you feel is lacking.